DuraLabel Petroleum Resistant Ribbon prints text and graphics on labels that will uphold in the dirtiest environments, and can even survive exposure to some chemicals. Long-lasting labels are specifically designed to weather regular petroleum-based exposure. 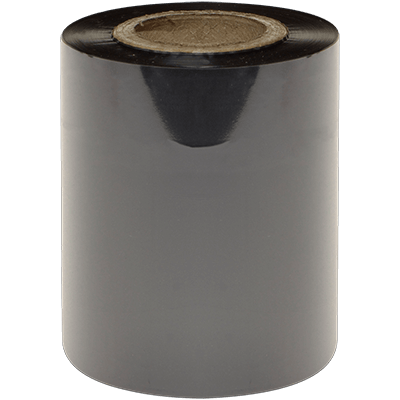 DuraLabel Petroleum Resistant Ribbon is coated with a resin based ink that can be heat transferred via the thermal transfer print process. Ideal for labeling machine parts, drum storage, hazardous material storage, marine environments, recycling projects, and environmental clean-ups. Suitable for use in most manufacturing and automotive labeling applications, including barcoding. Petroleum Resistant Ribbons are not recommended for use with all supplies. Be sure to check the individual supply type to determine ribbon compatibility.